I’m still in the honeymoon phase with ConvertKit although I’ve used the service for many months now. It really is just so fun to get into the software and experiment with new forms and landing pages. 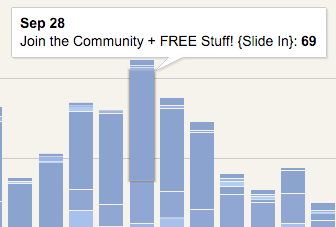 I mean, who wouldn’t want to log in each day and see these cool little charts?! On this main dashboard when you mouse over a certain area of each chart you can see at a glance how a particular form or landing page performed. Super cool feature! These little touches have made the ConvertKit experience so good. If you’re a regular reader of this blog, you may have noticed all sorts of new opt-in forms. I’ve been testing landing pages, slide-ins, and a few pop ups. All of these changes should calm down a bit in the coming weeks as we hone in on our email subscriber strategies. If you’re curious why we switched from MailChimp, you can take a look at this post which explains everything. A few weeks ago I had the urge to start planning for 2016. 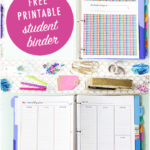 Last year Abby and I did this business planning during the last week of December, but with the kids back in school the timing felt right to start planning a few months early. Usually I have digital solution to all my planning and organizing, but this time I started with just a blank piece of paper. As we get more and more focused with our plan, we’ll have some tasks and projects show up on my task manager, but there’s still nothing like a blank sheet of paper and pen for the big-picture initial planning draft. 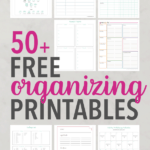 Because our business has a few different income source categories (product sales, affiliate income, and ads), I decided to organize my plan in a similar way. I haven’t touched affiliate sales yet, I likely won’t bother making an ad plan, but product sales is an area where a clear plan for 2016 will be extremely valuable. When I narrowed things down even further in our product sale plans, it became clear that we serve a few different audiences on JustAGirlandHerBlog.com. 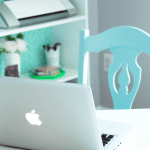 1) Those interested in organizing / paperless 2) blog growth or starting a blog, and 3) decorating and home decor. Although those are three distinct areas, I’ve found that there is a lot of overlap with our audience. For example, those interested in organizing may also be interested in starting a blog. Because Abby and I also have multiple interests, it’s nice to be able to create products in a few different categories. Once I better understood our product categories, I made a list of the various products we’d like to offer in each area. From that point, I started to work backwards. For example, if we want to sell Product XYZ in 2016, we first need to set a launch date and make sure that date fits well with the other products throughout the year. Then we have to figure out how people will find out about the product and ultimately purchase Product XYZ. It’s not enough to say “they’ll find it on the blog.” In most cases, people purchase our products through automated and targeted email campaigns. That begs the question, “How do I get more people on my email list that are interested in Product XYZ?” From there I brainstormed a dozen or so ideas about email opt-in offers, content upgrades, email courses, and pillar content to ultimately drive people to our email list and then Product XYZ. I created a single sheet with a basic marketing plan for each of the products we’d like to offer in 2016. Each page looked like a complicated funnel with the product on the bottom and all sorts of arrows and lines everywhere. The plans are by no means finalized, but it was a helpful first-step exercise in nailing down our 2016 plans. Over the next month Abby and I will review each single sheet marketing plan together and make adjustments. If I have one tip for you when making your business plans, it would be to start with the end in mind. Those “ends” or “desired outcomes” will dictate your actions throughout the year. It’s easy to get too task focused and ignore what exactly you’re working towards. Another month in the books! It’s hard to believe we’re starting to think about 2016 already! Something tells me it’s going to be the best year yet, and I can’t wait to see what it brings! Thank you so much for popping into the blog each week. We truly couldn’t do this whole blogging thing without you guys, and we are so, so grateful for you! Have a wonderful day! Yay Abby and Donnie!!! Congrats!!! I know I’ve said this before, but you two are living my dream haha! 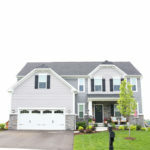 I have a goal to make $10K per month in one year with the ultimate goal of having my husband be able to quit his job and pursue his dream, too (flipping houses and managing rentals!). And I am SO excited to hear about your new product!!! Something that’s asked about a lot?!?! Why do I have no idea?!?!?! Thanks Sarah! “Living the dream” is a lot of hard work but we certainly do feel blessed. Also, I think it’s great you have such specific goals — there’s no doubt you’ll get there. Thank you so much for your sweet words, Christina! I know some people do really well with super-nichey sites, but I definitely don’t think it’s the only way to be successful. I’ve tried out a bunch of different topics over the years, and I think I’ve finally settled into my sweet spot… although that could completely change next week. 🙂 Thanks so much for following along! Best of luck with your blog! Thank you so much, Louisa! I really appreciate your sweet comment! I can’t wait to see where you take your blog! This is one of my favorite posts each month! Seriously inspiring and super practical. I pin each of them and refer back to them whenever I need a pick-me-up. Thanks for sharing! Thank you so much, Sarah! That really means a lot! Hope you’re having a wonderful week! Congrats on another terrific month! I definitely need to check out Convertkit after seeing how well it’s worked for you. We’ve been loving it! Thanks so much for your sweet words, Marie! Hope you’re having a wonderful day! I don’t even remember how I found you Abby, but you came at just the right time. I am a blogger myself and have been pulling my hair out trying to learn the ins and outs of blogging. Just like you, I’ve been looking for someone to say, “here is what I know so far, here you go.” So, thank you for being the blessing that I needed this month. I truly appreciate your help and inspiration to take my blog to the next level. I absolutely love your blog! Cara! Thank you! That really means so much! 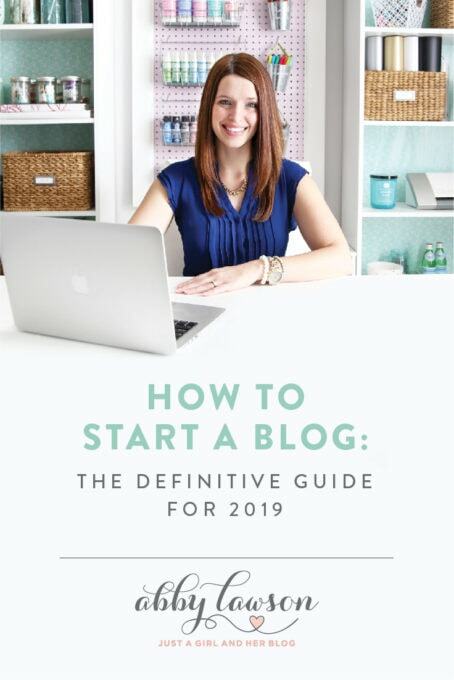 I can’t wait to see what you do with your blog! This is so nice of you both to do! 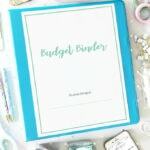 In a few years I hope to joining the ranks of bloggers and I have been saving all your tips and tricks! It definitely is scary when you are first starting out so and it so great to have some info to look at and refer to when you’re not sure of how to handle things. I know when I first opened my Etsy shop I didn’t know all that I know now and I was nervous at times thinking, “what if”, “What if I don’t sell anything?” “what if I’m buying the wrong things?” (I sell vintage items). As time went on I got to know my audience/customers and now I look for certain items because I know those are things customers are looking for. 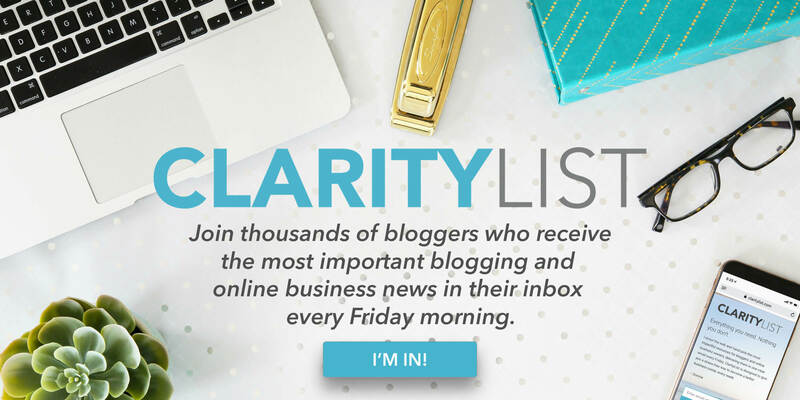 Thank you so much for the greatest blog for new bloggers! Starting out can definitely be intimidating– I was nervous for sure! Eventually I just jumped in and learned, though! You have a head start, too, having already run an online business! Thank you so much for your kind words! Hope you’re having a wonderful day! I started reading blogs and watching YouTube about a year ago. Something is starting to stir in me that I want to start a blog. 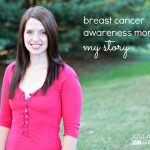 I believe we all have stories to tell and that there are people that need to hear those stories. I am very organized–used to working at home. I homeschooled our children for nine years and ran a nonprofit from home. Your blog makes me excited that this is an attainable goal. You both have given us the tools and resources to get started. As this feeling continues to stir and I do my research, I thank you for putting your knowledge out there! Thank you so much for your sweet words, Doreen! I’m so glad it has been helpful! Best of luck with starting your blog– you can do it! I love these! So inspiring. I totally get what you mean by living the dream is hard work. I love how honest you are! I started my blog three weeks ago and have made $3. Haha! Hopefully I can keep getting better little by little. Thanks for posting! That’s $3 more than I made my first three weeks! That’s awesome that you’ve started monetizing from the get go! I can’t wait to see where your blog goes from here, Ashley!! Every time you guys talk about convert kit I am tempted to make the switch. When my lead pages account ends, I will finally make the switch. 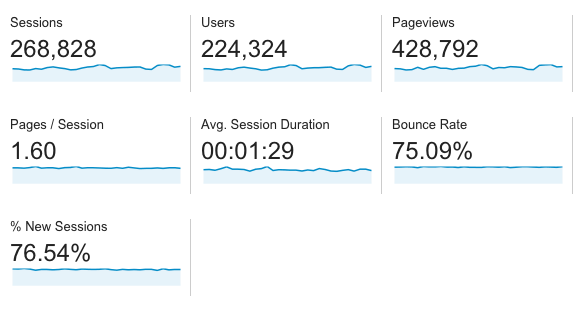 I’m impressed with how much your Building a Framework is still bringing in. Where are those people coming from? Have you done much recently to promote it? I usually find sales really slow after launch month, but you’ve kept yours going strong. Thank you for shareing! I am very inspired by your blog as it was one of the first I came across for helpful advice in my new blogging journey! Wow, congratulations Abby! You guys are rocking it and having fun at the same time. I just found your site through the Fizzle 25 Up-And-Coming List. Your site is beautiful and chock full of great content (lots of blood, sweat, and tears I’m sure). I wish you both continued success and more growth. Cheers! Thank you for doing these reports. I actually come to your blog for the “blogging” stuff. I am wanting to increase my page views and income on my blog. I currently make my income working from home as a virtual assistant. Thanks for the inspiration. Hi Abby and Donnie! 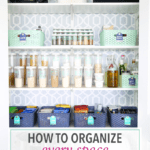 I visit your blog from time to time and I love how you manage to combine decor with blogging tips and organization tips. 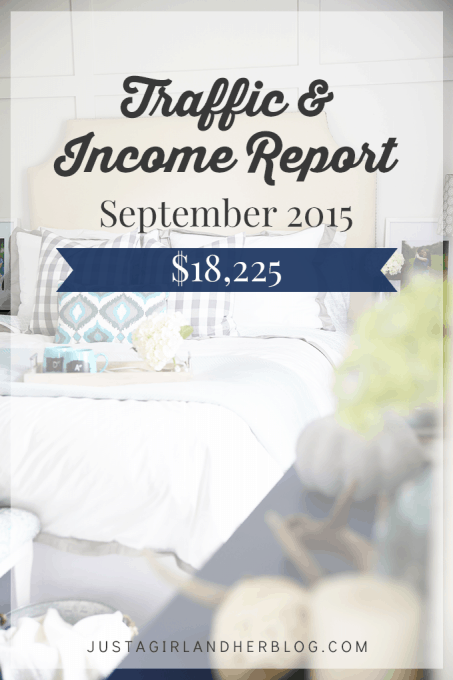 You income report is so inspiring and a proof that blogging can provide a full time income. Thanks for sharing this with us! This is amazing and I strive to make this much with my blog someday! 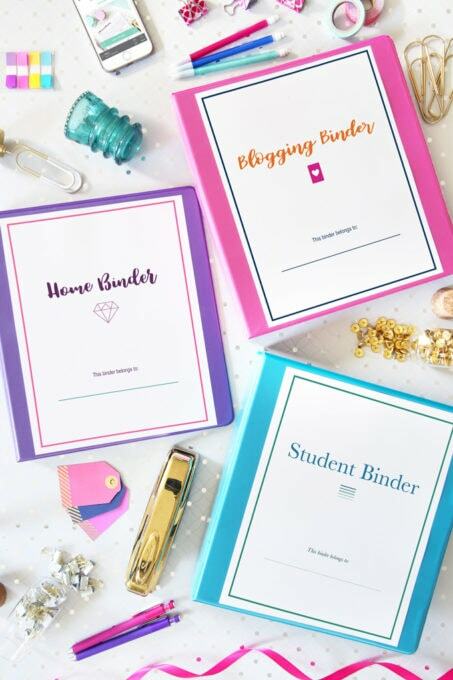 Thank you so much for being so transparent with your earnings & spendings / giving us the ultimate tips on how to be successful in this blogging world!! so hard to find blogs that do this. I love getting the chance to read your income reports 🙂 I know this is random but I like the way you transition back and forth between the two of you with your pictures – we have a co-authored blog and sometimes we have posts we write together and this would be a really great way to keep it organized, we might adapt this tactic! Wow! What an awesome month Abby! I love reading these every month and being inspired to keep at it. Thanks for sharing with us! Wow what a big month and I can’t believe all the expense’s that you have. I assuming as the blog income grows, more expenses come with that. This is great motivation for me to keep on working hard.